Country Blossoms is a family run business with over 20 years of experience in supplying high quality fresh flowers to the local people and throughout County Down. 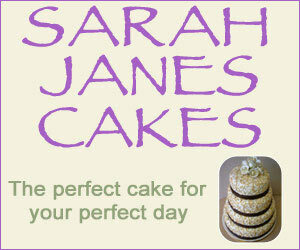 We offer an extensive range of flowers to cater for all occasions. Whether you are after Christmas flowers for a dinner party or wedding flowers for that all important day, we will advise and supply the right flowers for you. All our bouquets are put together by our team of highly skilled floral designers, so you can be sure that they will look their very best on occasions such as funerals and Valentine's Day. The service we provide is friendly as well as professional and reliable. We pride ourselves on great customer care and providing expert advice to all our customers. We respond to emails and calls promptly and we make sure our customer's requirements are always met. Your wedding day should be one of the happiest and most beautiful days of your life. We understand that wedding planning can be quite stressful, which is why we are here to help you and add romance to your day. 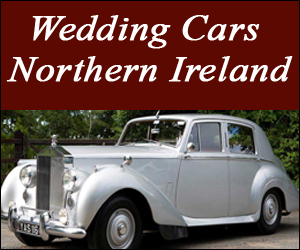 With our team of dedicated professionals you can relax and allow them to deliver that very special wedding you have always dreamed of. So why not let us enjoy arranging your unique and luxurious wedding bouquets that will fill your special day with unforgettable romance. 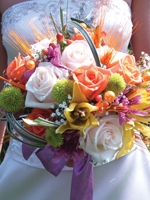 With our well established reputation for supplying high quality wedding bouquets, we can guarantee 100% customer satisfaction. If you have any special requirements regarding our floral service and the range of gifts, please contact Country Blossoms and let us know. We will try our very best to meet your needs.